← Revamping Last Nights Dinner – Delicious Vegan Rice Balls ! So my last post was a bit of a rant, and not many of you were very interested in it which I understand . It wasn’t really meant as a proper post it was more of a venting session for me because of everything that was happening. I am very interested in baking , I want to become a baker after I finish college and recently I’ve been loving pink so this lovely design was pretty perfect for me. 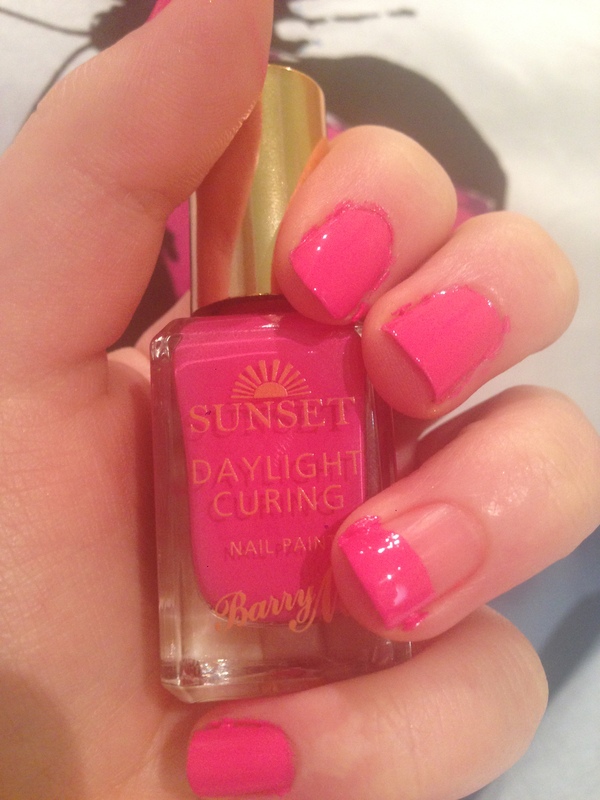 Then apply 1 thin coat of Barry M I’ve Been Pinkin’ sunset nail paint to every nail but the ring finger (accent nail) allow it to dry and add a second thin coat . Do the same on the ring finger but only apply the nail paint to half of the nail. Next use WAH London white nail art pen , creating dots on every nail but the accent nail. 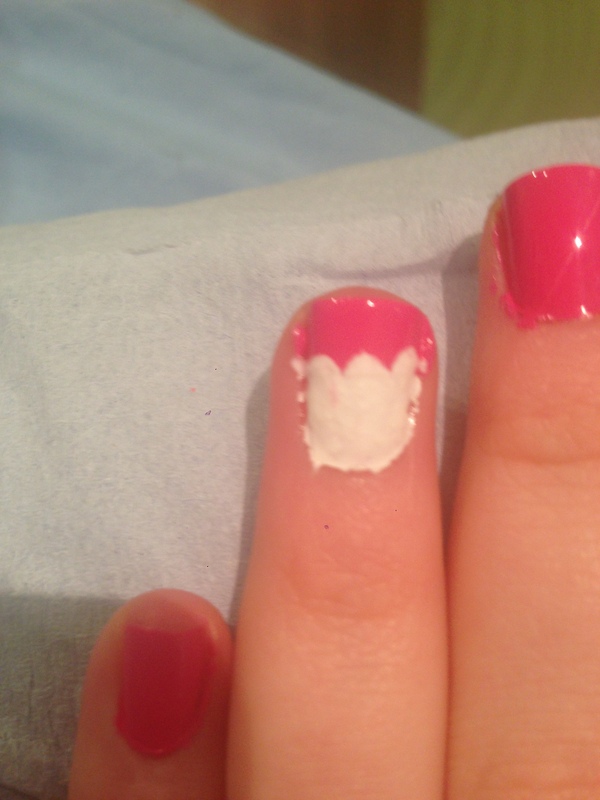 On the accent nail, paint the white on the other half of the nail, and create a scalloped edge over the pink. 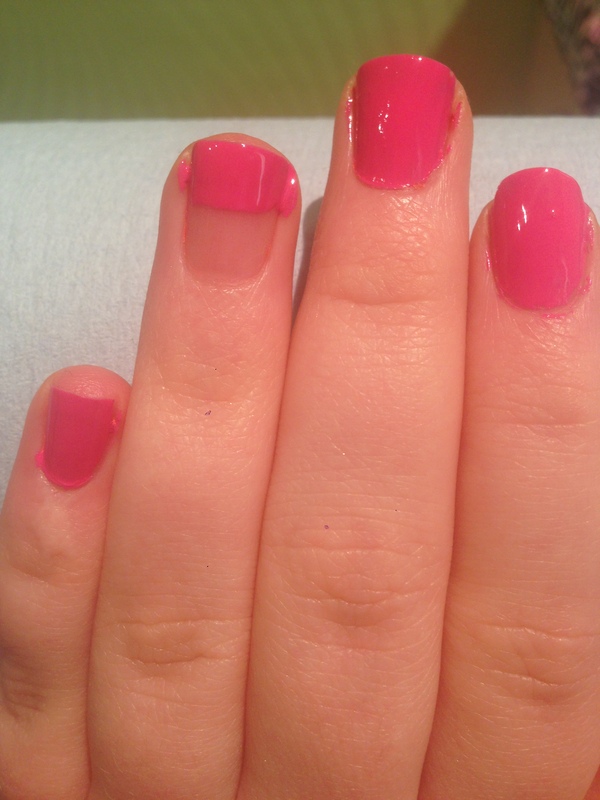 Then use the brush to create vertical lines on thee pink part . 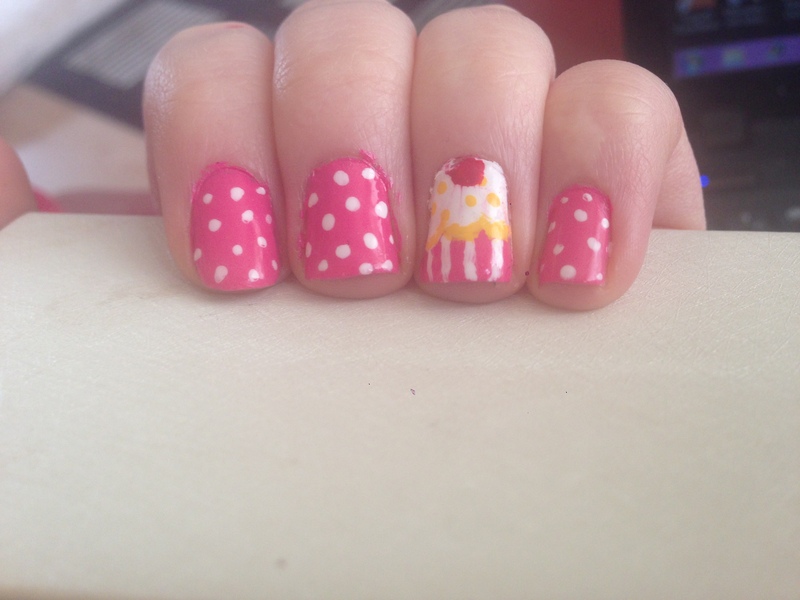 When dry, use WAH London yellow nail art pen and go over the scalloped edge, this makes it look like some of the cake is showing. Then apply little dots like sprinkles on the white part. 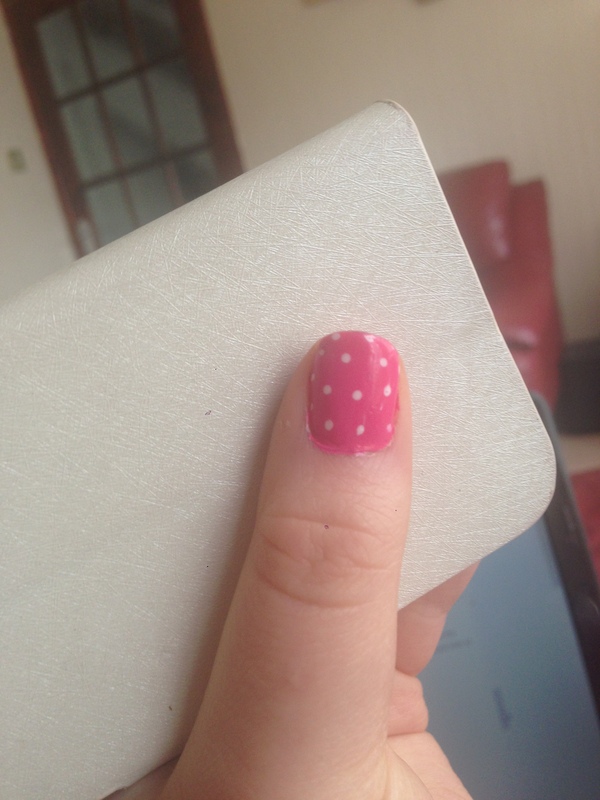 Lastly add a cherry on top by using WAH London red nail paint “Love My Team” on a dotting tool. All that’s left to do is apply a layer of Barry M sunset daylight curing topcoat and clean up around each nail and we’re all done ! I found this quite easy to do on my left hand , but my right hand is pretty terrible looking … But I still love this design I created. It’s really cute, quirky and fun ! I hope you liked this tutorial and found it helpful. This post was a lot shorter than my usual posts, which is probably a good thing lol ! See you again soon with another post ! 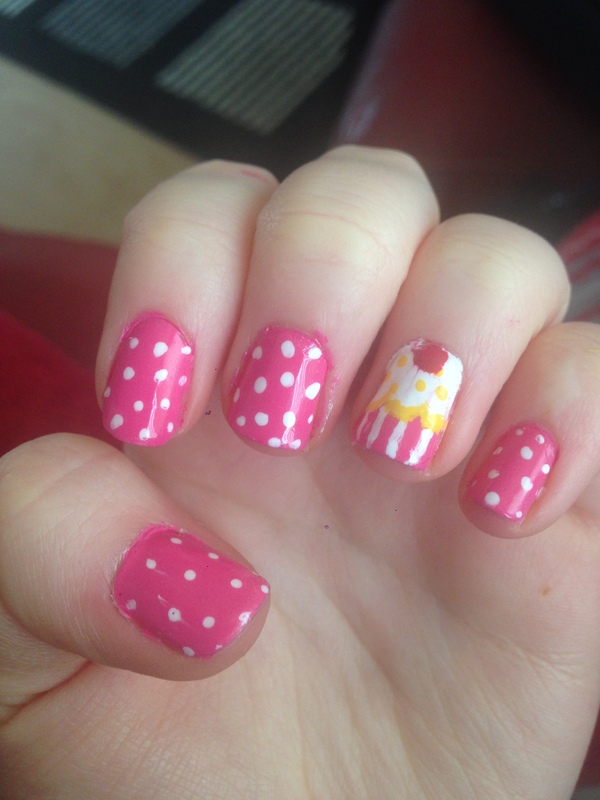 This is such a cute nail design!